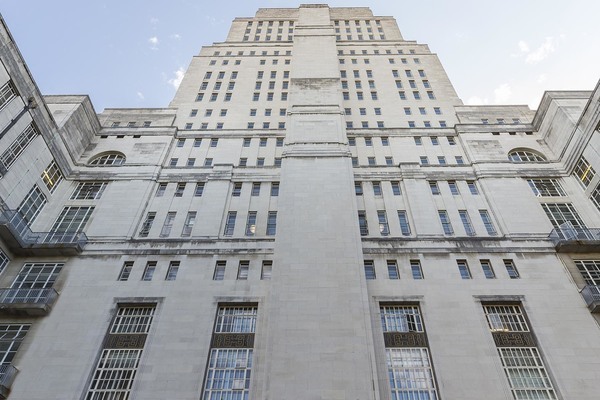 London’s tallest secular building when it opened as the HQ of the University of London and home to the Ministry of Information during WWII, this Grade II* listed landmark features classicism and art deco elements. 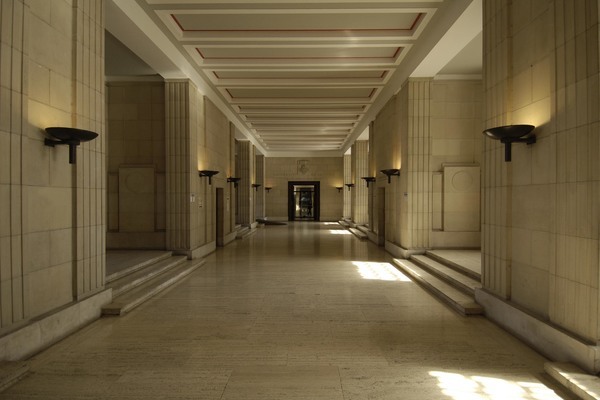 Designed by British architect Charles Holden, who is also credited with the design of many of London’s Underground stations, Senate House was created to house what became the world’s largest purpose-built University. 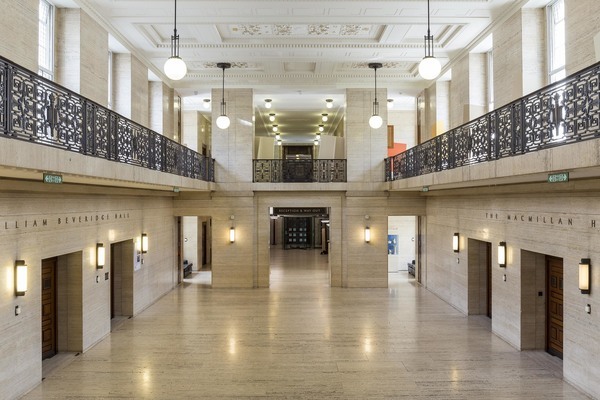 The landmark Art Deco building, which is one of the few buildings in London to boast original 1930s features, was the University’s first permanent home after a century of being housed in a series of temporary premises. King George V laid the foundation stone on 26 June 1933 and the building welcomed its first occupants in 1936. Senate House, consisting of 19 floors and standing 210 feet (64m) high, was the tallest secular building in Britain on completion. It was constructed of the finest materials then available, including Portland stone, Travertine marble, English walnut and South American cypress. 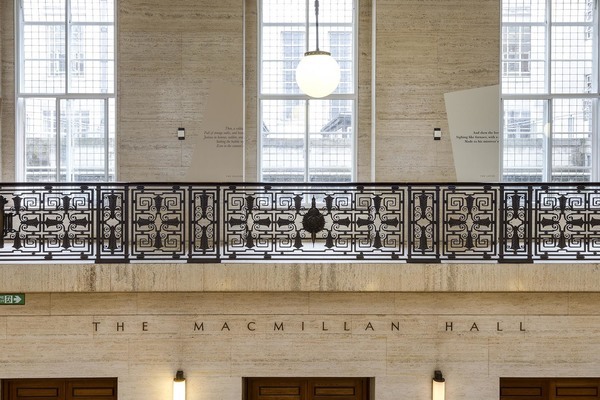 Acknowledged as a building of great architectural significance, it was listed as Grade II* in 1969. 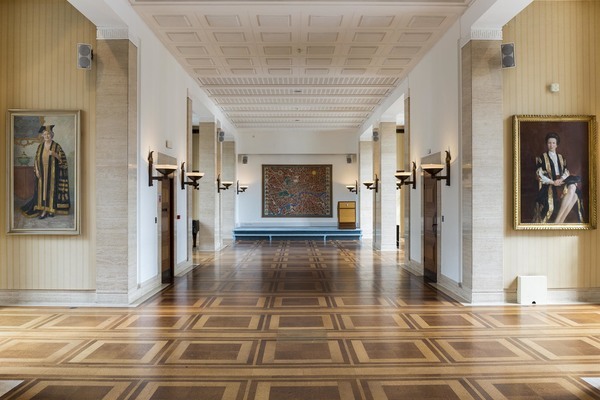 During the Second World War, Senate House was home to the Ministry of Information and inspired George Orwell’s description of the Ministry of Truth in his novel Nineteen Eighty-Four. 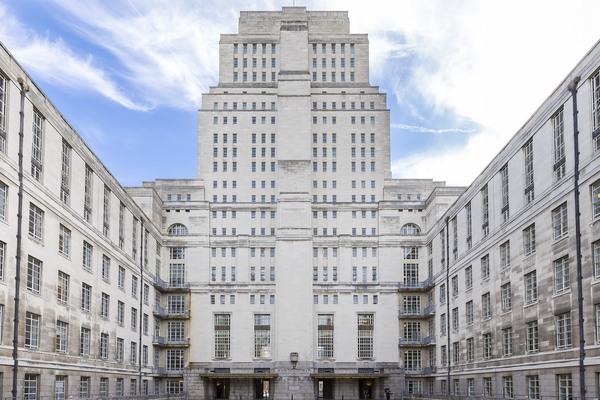 Besides being an architectural gem and a literary landmark, Senate House is also subject to urban mystification – allegedly Hitler planned to install the headquarters of Nazi dominion in Britain in the building on Malet Street. 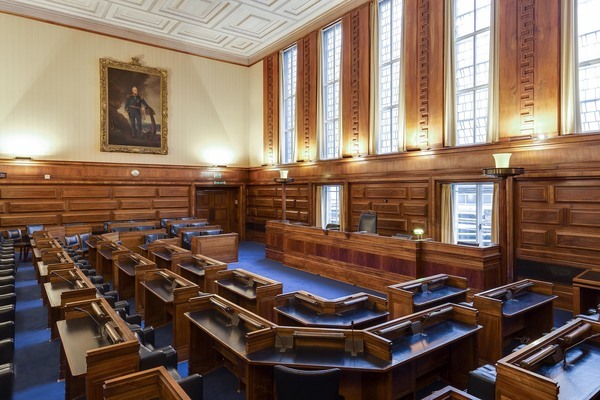 Senate House is also the home to the world-famous Senate House Library which holds one of the world’s largest humanities collections and showcases a series of exhibitions to highlight its extraordinary treasures.